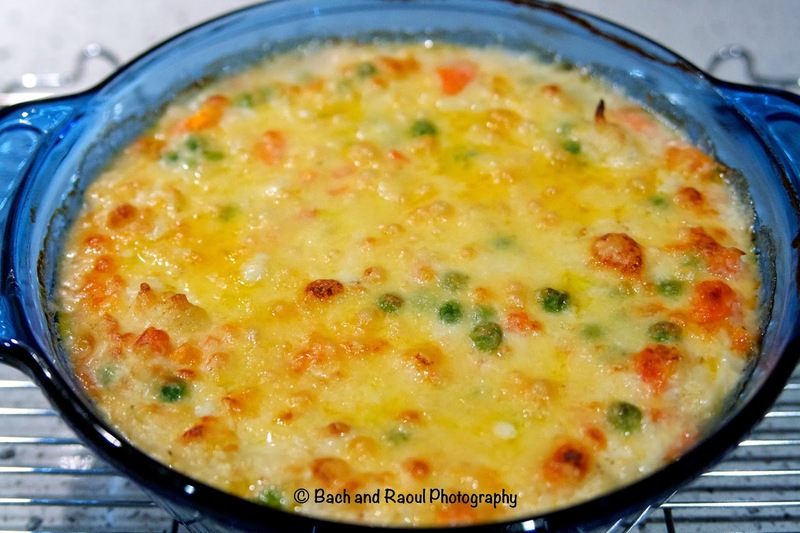 Vegetable Au Gratin is a very fancy name for baked vegetables in a cheesy béchamel sauce, which is a very fancy name for plain old white sauce. This is supposedly a french dish. 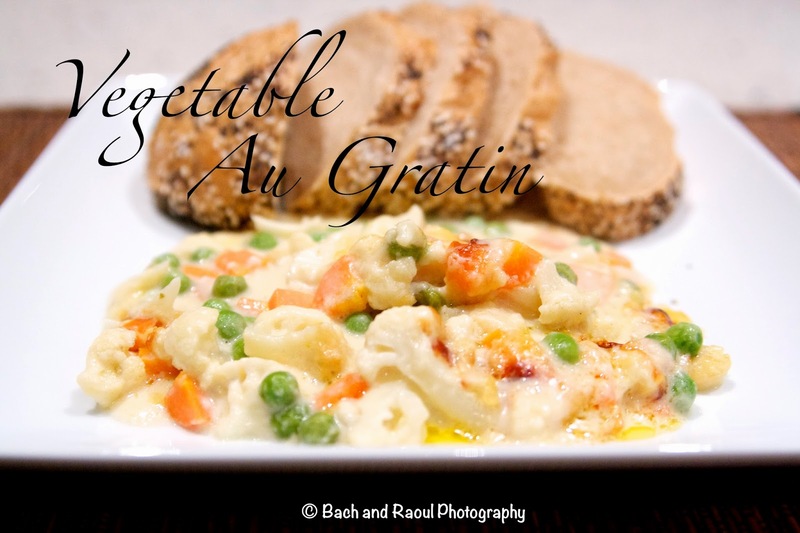 But if you will take a moment here and google the term "Vegetable Au Gratin", I am willing to bet my right arm that 95% of the recipes that you find will be from Indian blogs. This is a bona fide Indian smash hit dish. Back in the good old days, making children shell peas used to be a way for Indian mothers to get them to sit still for a good long time. This was before it was outlawed by the Geneva convention. So it is okay if you want to use frozen peas in this dish. 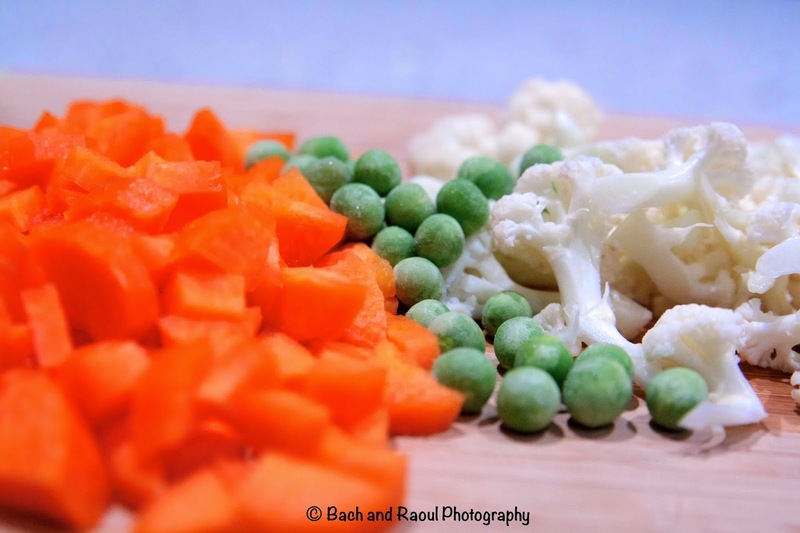 But if you can resist the temptation to use frozen cut vegetables, you will be truly rewarded. 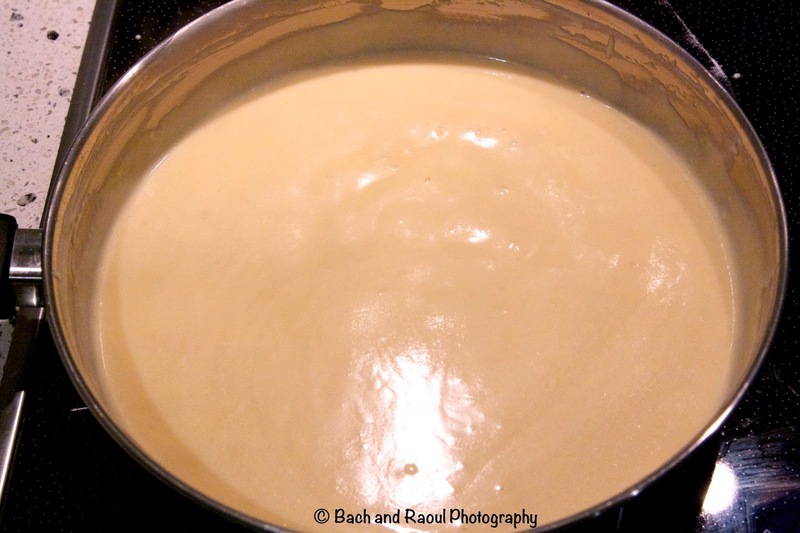 To make the béchamel sauce, in a pan, heat the oil on medium to low heat. 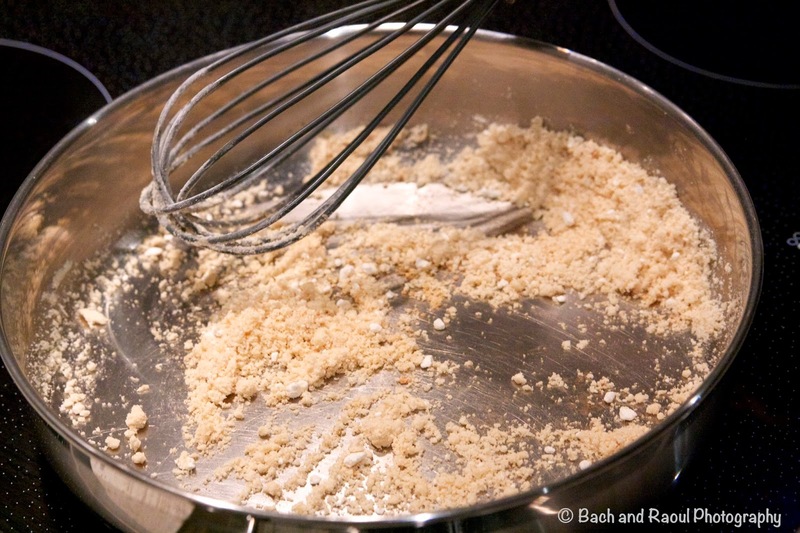 Add the flour and cook it in the oil for a couple of minutes. Don't let this brown. Now slowly add the milk in, whisking it continuously with the flour so as to not let the flour be lumpy ( do not attempt to take photos while you do this). 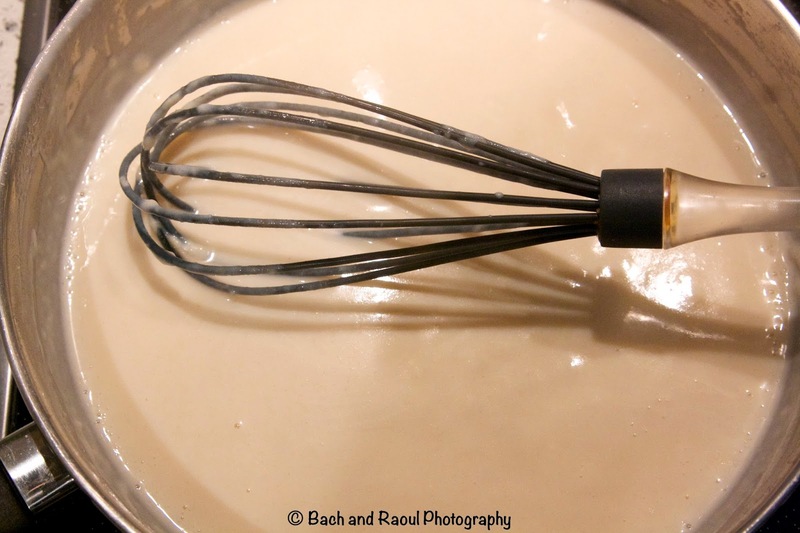 Keep whisking it till the sauce starts to thicken. 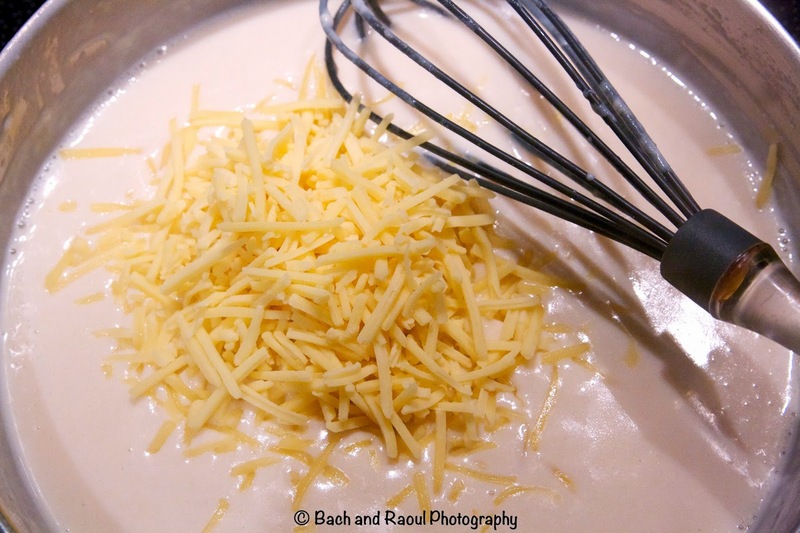 Add one cup of the shredded cheese into the white sauce and melt it in. Take this off the heat. In a lightly greased baking dish, mix in all the veggies and season them with salt and pepper. 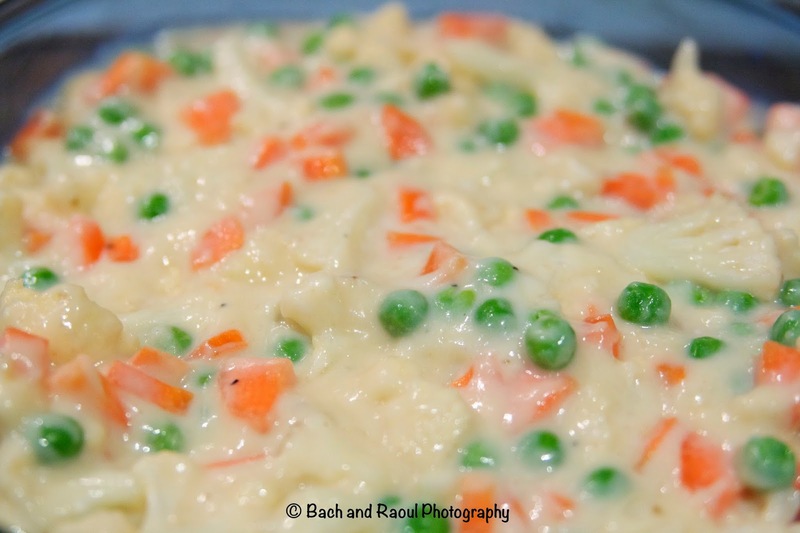 Pour in the béchamel that you just prepared and combine with the seasoned veggies. 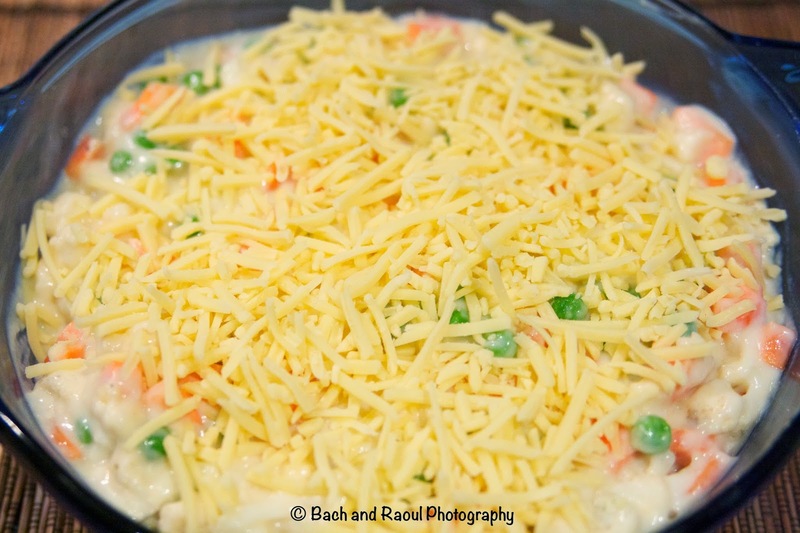 Bake this for about 45 minutes to an hour, till the cheese is browned.